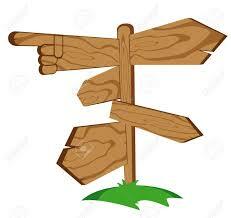 ‘Which Way Westerham?’ interactive platform, which includes an opportunity for anyone to comment. Sevenoaks District Council is publishing their first draft of the Local Plan which sets out those sites within Westerham – and the rest of the district – which might be suitable for development. The fact that sites are included in this draft does not necessarily mean that they will be in the final version which will go to the Planning Inspector, an official responsible to the Secretary of State for Housing, Communities and Local Government, who will decide if the plan is acceptable. At this stage SDC is asking statutory bodies (eg Highways Agency, Environment Agency, Kent County Council) for their views on whether the developments are feasible, but they also want the community’s view. You will be able to comment via SDC’s website www.sevenoaks.gov.uk/draftlocalplan. Alternatively, you can email planning.policy@sevenoaks.gov.uk or write to Planning Policy, Sevenoaks District Council, Argyle Road, Sevenoaks TN13 1HG with your comments. 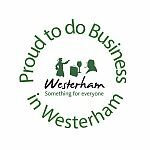 Thursday 19th July 2018: 2-8pm – Drop in session at Westerham Town Council Offices. Meet SDC’s Planning Policy team and ask questions. Town Councillors will be at various events around the town with information. They will also be contacting the town’s organisations and groups to gather their views.